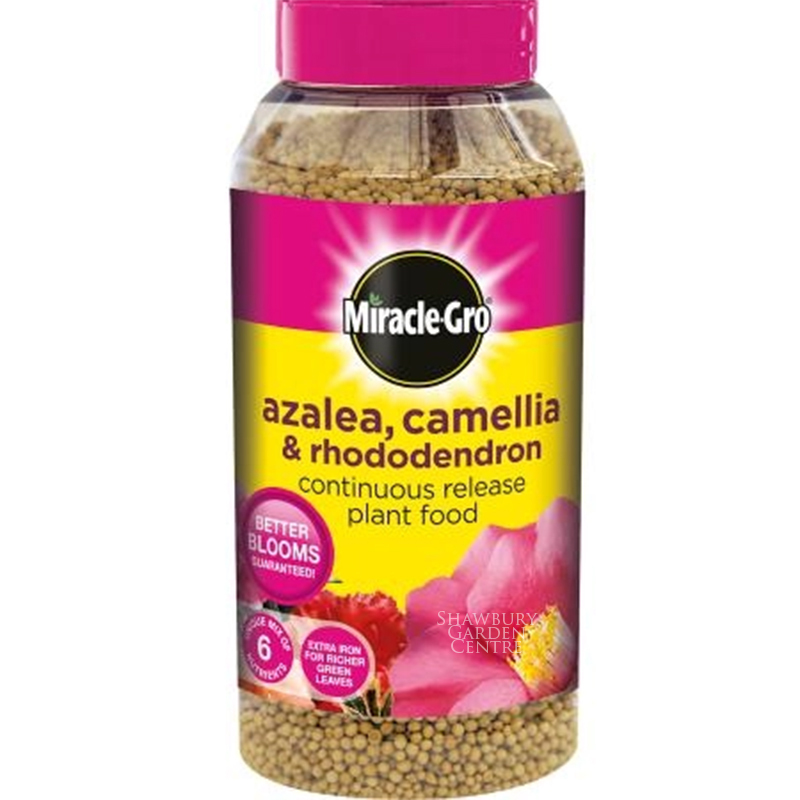 Slow Release Plant Food formulated for Ericaceous plants such as Azalea, Camellia and Rhododendron, supplied in an easy to use 1kg container with a sprinkle lid. 8 in stock (Available Now). 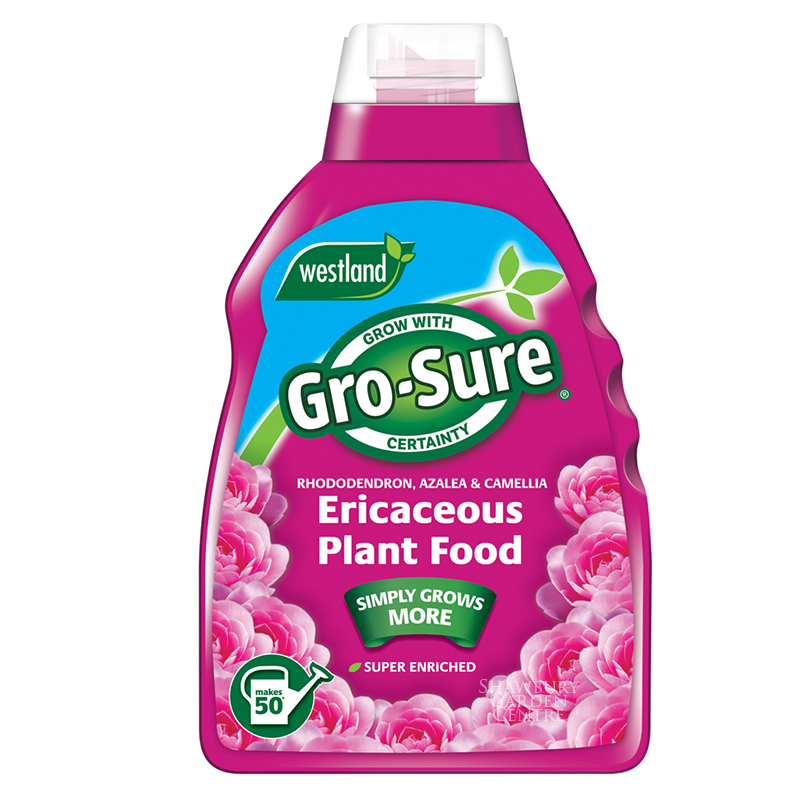 A single application of Miracle-Gro Slow Release Granules contain all of the essential ingredients to nourish your ericaceous plants throughout the growing season. 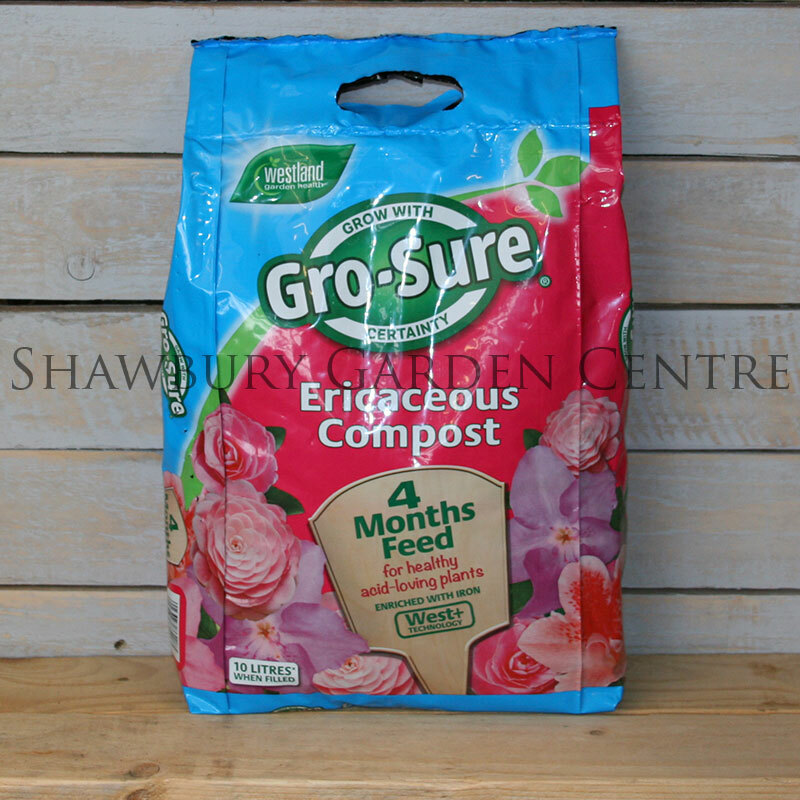 Slow release granules, have formulated by Miracle-Gro for a controlled daily release of nutrients for your garden plants, lasting up to 6 months. Ericaceous plants that need acid soil conditions to maintain optimum plant health. We are unable to send this particular product to the following post codes / areas: AB30, AB33-38, AB41-45, AB51-56, DD8-9, FK19-21, G, HS1-9, IV1-28, IV30-37, IV40-49, IV51-56, IV63, KA27-28, KW1-3, KW5-17, PA20-49, PA60-78, PH15-26, PH30-44, PH49-50, PO30-41, ZE1-3. Delivery price for your order will be calculated as products are added to your shopping basket. 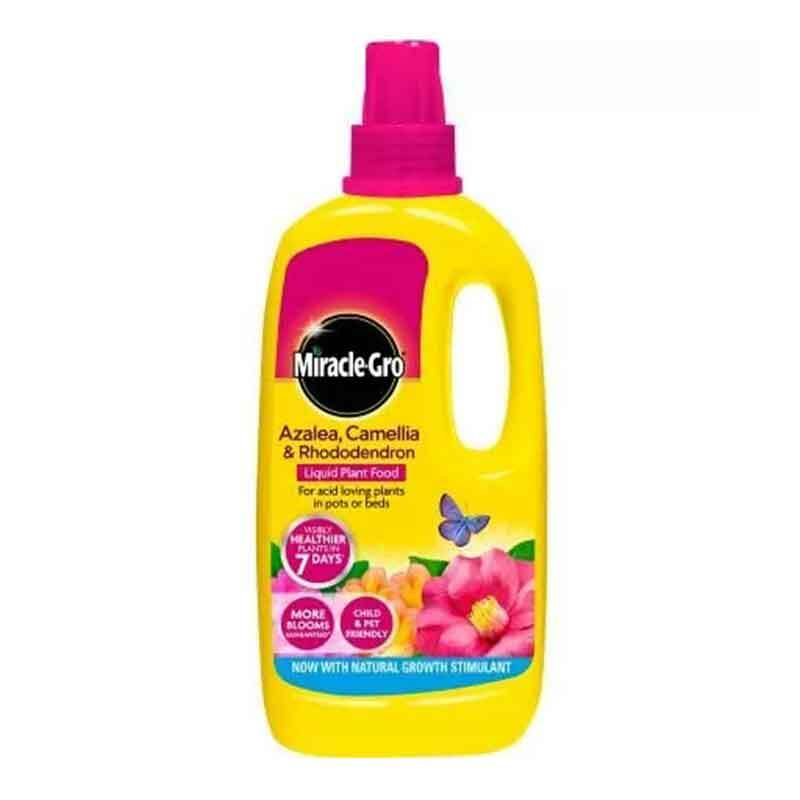 If you would like further information about Scotts Miracle-Gro Azalea, Camellia & Rhododendron Plant Food, please contact our garden centre at Shawbury just outside Shrewsbury in Shropshire, by calling 01939 251315 or emailing. Not quite what you’re looking for - take a look at these similar items. You may also need these related products. Copyright © 2011 - 2019 Shawbury Garden Centre. All Rights Reserved.